CIT-I Vs. Pradeshiya Industrial & Investment Corpn. Of U.P. Ltd.
Rajes Kumar And Vedpal, JJ. Rajes Kumar, J. 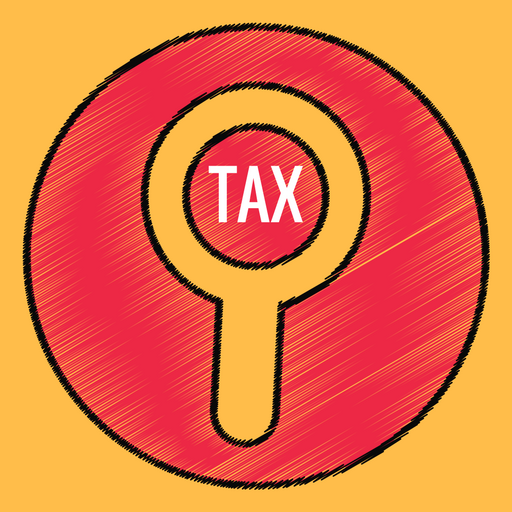 – The present appeal at the instance of the revenue under section 260A of the Income-tax Act (hereinafter referred to as the “Act”) is against the order of the Tribunal dated 16-3-2007 in Income-tax Appeal No. 138/LUCK./2005 for the assessment year 1996-97. 2. The brief facts of the case are that the assessee-opposite party (hereinafter referred to as the “Assessee”) was a Company and was a recognized financial institution. The assessee derived income from interest on finances and financial assistance given to medium and large scale industries in U.P. It also derived income from dividend, securities, deposits, leasing operations, sale of shares and office premises, etc. The assessee filed return of income on 29-11-1996 declaring total income at Rs. 2,07,07,980. The return was processed under section 143 (1)(a) of the Act on 17-11-1997 determining income at Rs. 2,13,88,621 after making certain adjustments. Subsequently, assessment order under section 143(3) of the Act was passed on 4-1-1999 assessing total income at Rs. 3,93,64,880. It is relevant to state that assessee claimed deduction under section 36(1)(iii) of the Act and the same was allowed to the extent of Rs. 1,54,10,800. The assessee filed appeal before the first appellate authority and the learned CIT(A) partly allowed the appeal of the assessee vide order dated 2-2-2000. It is relevant to state that the issue of deduction allowed under section 36(1)(iii) of the Act was not subject-matter of appeal filed by the assessee before the first appellate authority. The Assessing Officer gave effect to the appellate order dated 2-2-2000 vide order dated 16-2-2001 and assessed total income at Rs. 2,23,55,860. “It is evident from the proviso to section 147 of the Act that if an assessment is made under section 143(3) of the Act for relevant assessment year, no action can be taken for reopening of such assessment after expiry of four years from the end of relevant assessment year unless any income chargeable to tax has escaped assessment for such assessment year by reason of failure on the part of the assessee to disclose fully and truly all material facts necessary for that assessment year. There is no dispute that assessment in this case was made under section 143(3) of the Act. Therefore, the only question is whether the assessee at the time of original assessment disclosed fully and truly all material facts necessary for its assessment for the assessment year under consideration. We have already extracted reasons which have been recorded by the Assessing Officer. On perusal of the reasons recorded, it is evident that it is not the case of the Assessing Officer that any income had escaped assessment on account of omission or failure on the part of the assessee to disclose fully and truly all material facts necessary for assessment for assessment year 1996-97. We find substance in the submission of the learned authorized representative of the assessee that the Assessing Officer has re-initiated assessment proceedings on the basis that there was a mistake in allowing deduction to the assessee under section 36(1)(viii) of the Act in respect of income on leasing transaction and upfront fee which had resulted under assessment. We are of the considered view that there is no failure on the part of the assessee to disclose truly and fully all material facts at the time of assessment proceedings in regard to claim of deduction under section 36(1)(viii) of the Act. We observe that assessee furnished requisite details in respect of leasing income and upfront fee as received in assessment year under consideration and the same was duly disclosed in the audited profit and loss account, as is evident from pages 4 and 5 of the paper book read with page 23 of the paper book and also computation of income filed along with return, a copy of which is placed at pages 33 to 35 of the paper book. We are of the considered view that the Assessing Officer while completing assessment proceedings under section 143(3) of the Act had allowed the claim of the assessee with due application of mind and subsequent action of the Assessing Officer by issuing notice under section 148 of the Act is a change of opinion. “1. Whether on the facts and in the circumstances of the case, the learned Income-tax Appellate Tribunal was right in law in holding the reassessment proceedings as unsustainable failing to appreciate the fact that the re-opening was legally covered under the Explanation 1 of the section 147 of the Income-tax Act, 1961? 7. Admittedly, notice under section 148 of the Act was issued after the expiry of four years. The notice under the proviso of section 147 of the Act can be issued after the expiry of four years only in case where income chargeable to tax has escaped assessment by reason of the failure on the part of the assessee to make a return under section 139 or in response to a notice issued under sub-section (1) of section 142 or section 148 or to disclose fully and truly all material facts necessary for his assessment for that assessment year. From the perusal of the reason recorded it is apparent that no case has been made out that the assessee had failed to disclose fully and truly all material facts necessary for his assessment and no observation has been made in this regard. On the basis of the same material which was available on record, the Assessing Authority was of the view that the deduction had been wrongly allowed under section 36(1)(viii) of the Act. Tribunal observed that the assessee had furnished the requisite details in respect of leasing income and upfront fee as received in assessment year under consideration and the same was duly disclosed in the audited profit and loss account, as is evident from pages 4 and 5 of the paper book read with page 23 of the paper book and also computation of income filed along with return, a copy of which is placed at pages 33 to 35 of the paper book. This finding of the Tribunal has not been disputed by raising any question and during the course of the argument by the learned counsel for the appellant. Therefore, we are of the view that on the facts and circumstances, no substantial question of law arises for consideration by this Court. 8. Learned counsel for the appellant cited a decision of the Bombay High Court in the case of Dr. Amin’s Pathology Laboratory v. P.N. Prasad, Joint CIT  252 ITR 673 . We have gone through the decision of Bombay High Court. We are of the view that said decision is not applicable to the facts of the present case. In the said case, the Bombay High Court has held that the Assessing Authority has overlooked the disputed item which he has noticed subsequently and at the time of passing the original order of assessment, he could not be said to have opined on the above item. Therefore, there was no change of opinion. While in the present case, complete details were furnished along with the return and during the course of the assessment proceedings and after an application of mind, the deduction under section 36(1)(viii) of the Act was allowed. In the reason recorded no case has been made out that there was failure to disclose any material particular on the part of the assessee. Therefore, limitation beyond the period of four years was not available to the assessing authority. Admittedly, notice was issued after four years, therefore, the proceeding was barred by time and Tribunal has rightly held so. 9. For the reasons stated above, the appeal fails and is dismissed. This entry was posted in Section 147 and tagged 332 ITR, Allahabad High Court, In favour of Assessee, reassessment of income, writ against reassessment notice.